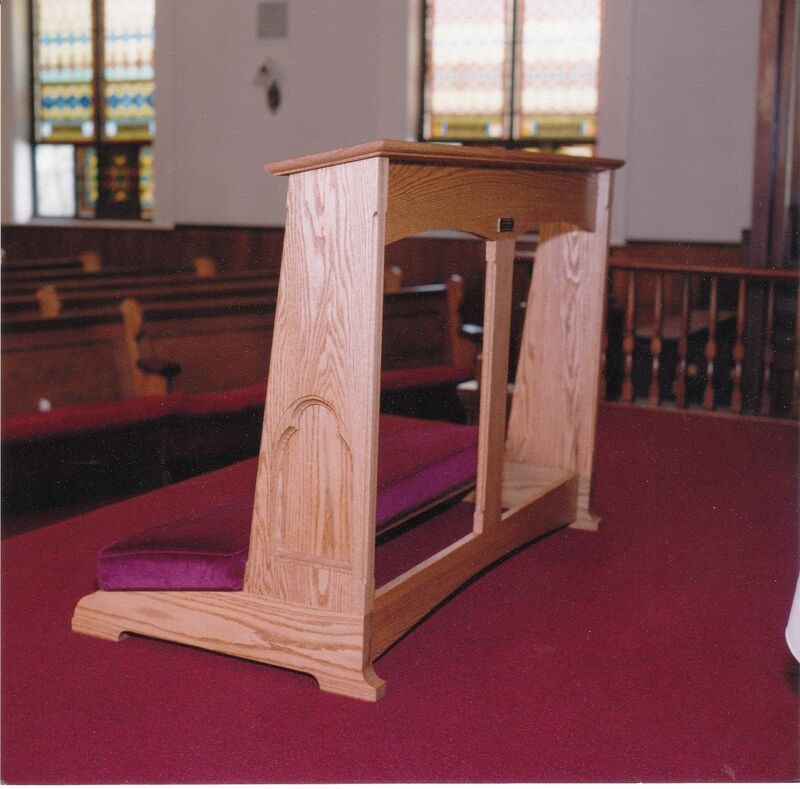 I made the original red oak double kneeler for my own wedding some 15 years ago. The relief design on the outer sides matches the design on the church pews. Pad is upholstered in red velour. Finished in semi-gloss polyurethane. Your choice of size, wood, pad material, and finish.